Virtual Reality is allowing developers to try and take current game genres and make them more interesting in this new dimension. 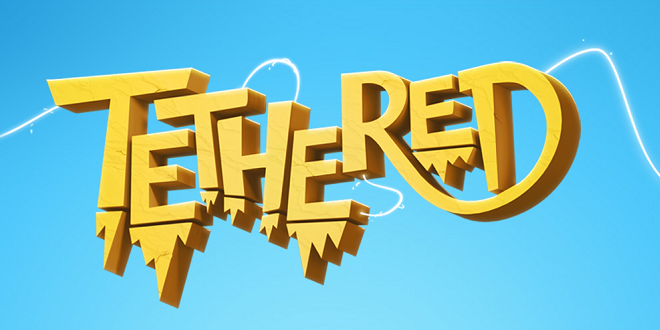 Indie developer Secret Sorcery has taken it upon themselves to try and make a sort of real time strategy game work in VR with their new game Tethered. 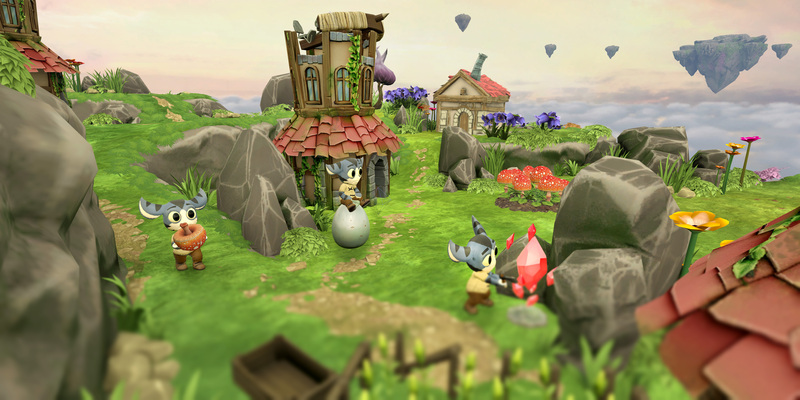 In the magical world of Tethered, you play as a Spirit Guardian and must use your powers to try and help the creatures of this world known as Peeps. The world of Tethered is made up of 13 floating islands full of Peeps who you must help with your various elemental powers. You command the Peeps and must provide guidance to help them keep their will to live. Yeah you read that right as should you not support the Peeps they will get all suicidal and decide to leap off the islands to their deaths. In order to do anything you must gather energy which in turn will help bring life to the islands turning them from their barren brown color to lush green landscapes. The game operates on a day and night cycle and your job will differ between them. During the day you will give the Peeps tasks like building or gathering resources and during the night you will help defend the Peeps from monsters. Monsters only appear at night and they will try and ruin any progress you’ve made during the day light hours and bring despair to your precious Peeps. You play Tethered with the Dualshock 4 only as the game doesn’t support the PlayStation Move. To aim or select anything in the world you just turn your head and look at what you want to. The control scheme is actually quite intuitive and easy to get to grips with. When you want to have a Peep do something you select the Peep and then hold down the X button until you move to what you want and then you release it. I will say the negative thing about the control scheme is that your head could get tired of moving around so much but that will differ from person to person. 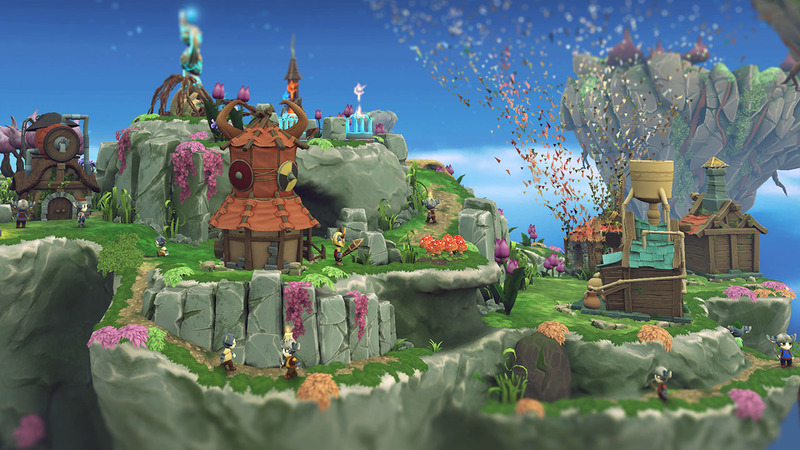 The world of Tethered has so many different features that affect the game including weather effect. During the day the light of the Sun will help your crops grow as well as hatch eggs providing you more Peeps. You can also combine the weather elements together to bring even more gameplay features to the forefront. During each level of the game you’ll gain more abilities and you’ll have to figure out the best strategies to use to progress. You’ll find that certain Peeps are better suited to certain jobs so knowing which ones to assign to your fields or mines can make a huge difference. 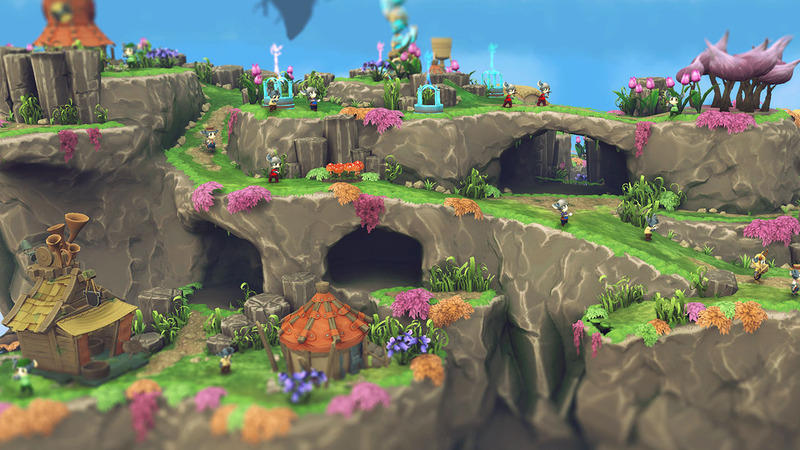 The presentation in Tethered is beautiful and full of detail. Being able to move around and lean in closer to the islands and your Peeps and see them look up at you with their adorable eyes gave me such an awesome feeling. It’s really one of the best looking games on the platform right now. The music likewise is a treat as well and apparently was done by the LittleBigPlanet composer. I loved the music in LittleBigPlanet and my thoughts on it in Tethered are no different. Day time brings cheerful uplifting music while the during the night hours the music shifts to a more dreadful tone. The game provided me hours of fun and I’ll be going back to try and clear up some of the trophies of which their are a full set including a Platinum. Secret Sorcery has crafted a magical adventure in Tethered that is an absolute must play if you have a PlayStation VR. The Peeps are so cute that you just want to do everything in your power to keep them happy and wanting to live. The feeling of loss I felt when I failed some of them causing them to leap to their death is one I won’t soon forget. It has tons of depth and you’ll have to really be on your toes to keep everything managed and running perfectly. 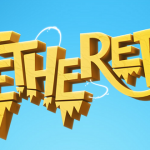 I mentioned that developers are trying to figure out what genres will work and not work in Virtual Reality and Secret Sorcery has proved with Tethered that strategy games can work and bring new things to the table.